ABS brakes, Electronic Stability Control, Low tire pressure warning, Traction control.You are the reason we are here and have been for 62 years! We have a HUGE selection of inventory and Customer Service is top priority.... Bad credit or bad luck we are here to help. We speak your language Spanish, Vietnamese, Arabic, Bangladesh, Urdu including Chinese! Easy to access right off 183 and 121 minutes away from anywhere in DFW! 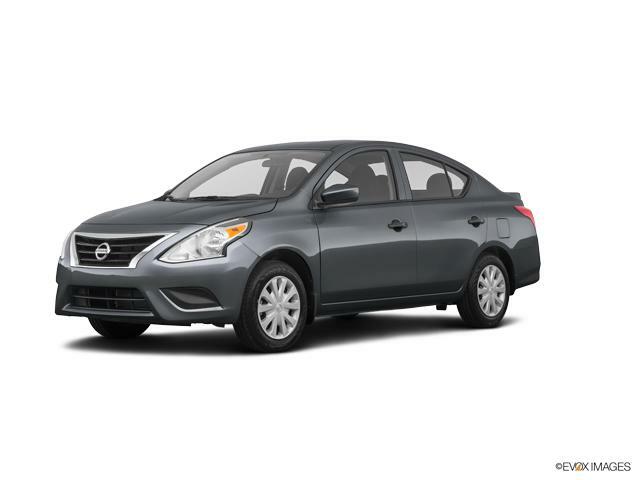 Call or come by and find out why we are the fastest growing Nissan store in the Metroplex today!Gun Metallic 2019 Nissan Versa 1.6 S FWD Manual 1.6L 4-Cylinder 27/36 City/Highway MPGWe will give you a Service Report of what we did to ANY used vehicle for your peace of mind! Grubbs Nissan in Bedford Texas serving Dallas, Arlington, Fort Worth, Grapevine and Colleyville TX. Since opening our doors, Grubbs Pre-Owned offers a wide selection of New, Used and Certified vehicles, and hope to make the car buying process as quick and hassle free as possible. If you would like Competitive financing options and you are in the market to purchase a new Nissan or used car, truck or SUV we will provide assistance to help you find financing options that fits your needs! Whether or not you have bad credit, no credit, or are a first time car buyer we are here for you! www.grubbsnissan.com. ABS brakes, Electronic Stability Control, Low tire pressure warning, Traction control.You are the reason we are here and have been for 62 years! We have a HUGE selection of inventory and Customer Service is top priority.... Bad credit or bad luck we are here to help. We speak your language Spanish, Vietnamese, Arabic, Bangladesh, Urdu including Chinese! Easy to access right off 183 and 121 minutes away from anywhere in DFW! Call or come by and find out why we are the fastest growing Nissan store in the Metroplex today!Super Black 2019 Nissan Versa 1.6 S FWD Manual 1.6L 4-Cylinder 27/36 City/Highway MPGWe will give you a Service Report of what we did to ANY used vehicle for your peace of mind! Grubbs Nissan in Bedford Texas serving Dallas, Arlington, Fort Worth, Grapevine and Colleyville TX. Since opening our doors, Grubbs Pre-Owned offers a wide selection of New, Used and Certified vehicles, and hope to make the car buying process as quick and hassle free as possible. If you would like Competitive financing options and you are in the market to purchase a new Nissan or used car, truck or SUV we will provide assistance to help you find financing options that fits your needs! Whether or not you have bad credit, no credit, or are a first time car buyer we are here for you! www.grubbsnissan.com. You are the reason we are here and have been for 62 years! We have a HUGE selection of inventory and Customer Service is top priority.... Bad credit or bad luck we are here to help. We speak your language Spanish, Vietnamese, Arabic, Bangladesh, Urdu including Chinese! Easy to access right off 183 and 121 minutes away from anywhere in DFW! Call or come by and find out why we are the fastest growing Nissan store in the Metroplex today!Fresh Powder 2019 Nissan Versa 1.6 S Plus FWD CVT 1.6L 4-Cylinder 31/39 City/Highway MPGWe will give you a Service Report of what we did to ANY used vehicle for your peace of mind! Grubbs Nissan in Bedford Texas serving Dallas, Arlington, Fort Worth, Grapevine and Colleyville TX. Since opening our doors, Grubbs Pre-Owned offers a wide selection of New, Used and Certified vehicles, and hope to make the car buying process as quick and hassle free as possible. If you would like Competitive financing options and you are in the market to purchase a new Nissan or used car, truck or SUV we will provide assistance to help you find financing options that fits your needs! Whether or not you have bad credit, no credit, or are a first time car buyer we are here for you! www.grubbsnissan.com. You are the reason we are here and have been for 62 years! We have a HUGE selection of inventory and Customer Service is top priority.... Bad credit or bad luck we are here to help. We speak your language Spanish, Vietnamese, Arabic, Bangladesh, Urdu including Chinese! Easy to access right off 183 and 121 minutes away from anywhere in DFW! 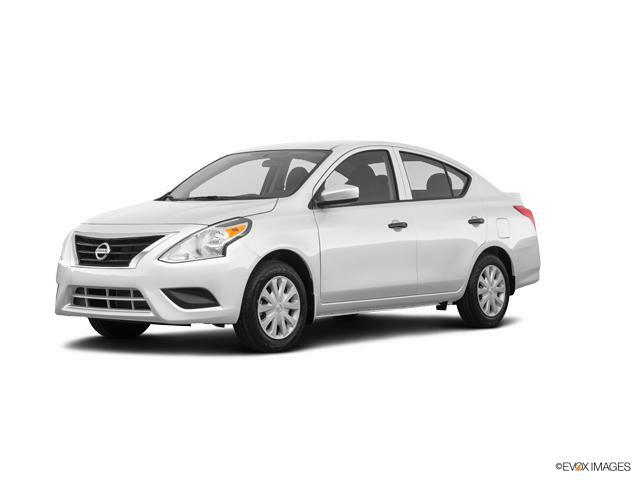 Call or come by and find out why we are the fastest growing Nissan store in the Metroplex today!Gun Metallic 2019 Nissan Versa 1.6 S Plus FWD CVT 1.6L 4-Cylinder 31/39 City/Highway MPGWe will give you a Service Report of what we did to ANY used vehicle for your peace of mind! Grubbs Nissan in Bedford Texas serving Dallas, Arlington, Fort Worth, Grapevine and Colleyville TX. Since opening our doors, Grubbs Pre-Owned offers a wide selection of New, Used and Certified vehicles, and hope to make the car buying process as quick and hassle free as possible. If you would like Competitive financing options and you are in the market to purchase a new Nissan or used car, truck or SUV we will provide assistance to help you find financing options that fits your needs! Whether or not you have bad credit, no credit, or are a first time car buyer we are here for you! www.grubbsnissan.com. ABS brakes, Electronic Stability Control, Low tire pressure warning, Traction control.You are the reason we are here and have been for 62 years! We have a HUGE selection of inventory and Customer Service is top priority.... Bad credit or bad luck we are here to help. We speak your language Spanish, Vietnamese, Arabic, Bangladesh, Urdu including Chinese! Easy to access right off 183 and 121 minutes away from anywhere in DFW! Call or come by and find out why we are the fastest growing Nissan store in the Metroplex today!Brilliant Silver Metallic 2019 Nissan Versa 1.6 S Plus FWD CVT 1.6L 4-Cylinder 31/39 City/Highway MPGWe will give you a Service Report of what we did to ANY used vehicle for your peace of mind! Grubbs Nissan in Bedford Texas serving Dallas, Arlington, Fort Worth, Grapevine and Colleyville TX. Since opening our doors, Grubbs Pre-Owned offers a wide selection of New, Used and Certified vehicles, and hope to make the car buying process as quick and hassle free as possible. If you would like Competitive financing options and you are in the market to purchase a new Nissan or used car, truck or SUV we will provide assistance to help you find financing options that fits your needs! Whether or not you have bad credit, no credit, or are a first time car buyer we are here for you! www.grubbsnissan.com. ABS brakes, Electronic Stability Control, Low tire pressure warning, Traction control.You are the reason we are here and have been for 62 years! We have a HUGE selection of inventory and Customer Service is top priority.... Bad credit or bad luck we are here to help. We speak your language Spanish, Vietnamese, Arabic, Bangladesh, Urdu including Chinese! Easy to access right off 183 and 121 minutes away from anywhere in DFW! Call or come by and find out why we are the fastest growing Nissan store in the Metroplex today!Cayenne Red Metallic 2019 Nissan Versa 1.6 S Plus FWD CVT 1.6L 4-Cylinder 31/39 City/Highway MPGWe will give you a Service Report of what we did to ANY used vehicle for your peace of mind! Grubbs Nissan in Bedford Texas serving Dallas, Arlington, Fort Worth, Grapevine and Colleyville TX. Since opening our doors, Grubbs Pre-Owned offers a wide selection of New, Used and Certified vehicles, and hope to make the car buying process as quick and hassle free as possible. If you would like Competitive financing options and you are in the market to purchase a new Nissan or used car, truck or SUV we will provide assistance to help you find financing options that fits your needs! Whether or not you have bad credit, no credit, or are a first time car buyer we are here for you! www.grubbsnissan.com. You are the reason we are here and have been for 62 years! We have a HUGE selection of inventory and Customer Service is top priority.... Bad credit or bad luck we are here to help. We speak your language Spanish, Vietnamese, Arabic, Bangladesh, Urdu including Chinese! Easy to access right off 183 and 121 minutes away from anywhere in DFW! Call or come by and find out why we are the fastest growing Nissan store in the Metroplex today!Brilliant Silver Metallic 2019 Nissan Versa 1.6 S Plus FWD CVT 1.6L 4-Cylinder 31/39 City/Highway MPGWe will give you a Service Report of what we did to ANY used vehicle for your peace of mind! Grubbs Nissan in Bedford Texas serving Dallas, Arlington, Fort Worth, Grapevine and Colleyville TX. Since opening our doors, Grubbs Pre-Owned offers a wide selection of New, Used and Certified vehicles, and hope to make the car buying process as quick and hassle free as possible. If you would like Competitive financing options and you are in the market to purchase a new Nissan or used car, truck or SUV we will provide assistance to help you find financing options that fits your needs! Whether or not you have bad credit, no credit, or are a first time car buyer we are here for you! www.grubbsnissan.com. You are the reason we are here and have been for 62 years! We have a HUGE selection of inventory and Customer Service is top priority.... Bad credit or bad luck we are here to help. We speak your language Spanish, Vietnamese, Arabic, Bangladesh, Urdu including Chinese! Easy to access right off 183 and 121 minutes away from anywhere in DFW! Call or come by and find out why we are the fastest growing Nissan store in the Metroplex today!Super Black 2019 Nissan Versa 1.6 S Plus FWD CVT 1.6L 4-Cylinder 31/39 City/Highway MPGWe will give you a Service Report of what we did to ANY used vehicle for your peace of mind! Grubbs Nissan in Bedford Texas serving Dallas, Arlington, Fort Worth, Grapevine and Colleyville TX. Since opening our doors, Grubbs Pre-Owned offers a wide selection of New, Used and Certified vehicles, and hope to make the car buying process as quick and hassle free as possible. If you would like Competitive financing options and you are in the market to purchase a new Nissan or used car, truck or SUV we will provide assistance to help you find financing options that fits your needs! Whether or not you have bad credit, no credit, or are a first time car buyer we are here for you! www.grubbsnissan.com. ABS brakes, Electronic Stability Control, Low tire pressure warning, Traction control.You are the reason we are here and have been for 62 years! We have a HUGE selection of inventory and Customer Service is top priority.... Bad credit or bad luck we are here to help. We speak your language Spanish, Vietnamese, Arabic, Bangladesh, Urdu including Chinese! Easy to access right off 183 and 121 minutes away from anywhere in DFW! Call or come by and find out why we are the fastest growing Nissan store in the Metroplex today!Fresh Powder 2019 Nissan Versa 1.6 S Plus FWD CVT 1.6L 4-Cylinder 31/39 City/Highway MPGWe will give you a Service Report of what we did to ANY used vehicle for your peace of mind! Grubbs Nissan in Bedford Texas serving Dallas, Arlington, Fort Worth, Grapevine and Colleyville TX. Since opening our doors, Grubbs Pre-Owned offers a wide selection of New, Used and Certified vehicles, and hope to make the car buying process as quick and hassle free as possible. If you would like Competitive financing options and you are in the market to purchase a new Nissan or used car, truck or SUV we will provide assistance to help you find financing options that fits your needs! Whether or not you have bad credit, no credit, or are a first time car buyer we are here for you! www.grubbsnissan.com. You are the reason we are here and have been for 62 years! We have a HUGE selection of inventory and Customer Service is top priority.... Bad credit or bad luck we are here to help. We speak your language Spanish, Vietnamese, Arabic, Bangladesh, Urdu including Chinese! Easy to access right off 183 and 121 minutes away from anywhere in DFW! Call or come by and find out why we are the fastest growing Nissan store in the Metroplex today!Cayenne Red Metallic 2019 Nissan Versa 1.6 S Plus FWD CVT 1.6L 4-Cylinder 31/39 City/Highway MPGWe will give you a Service Report of what we did to ANY used vehicle for your peace of mind! Grubbs Nissan in Bedford Texas serving Dallas, Arlington, Fort Worth, Grapevine and Colleyville TX. Since opening our doors, Grubbs Pre-Owned offers a wide selection of New, Used and Certified vehicles, and hope to make the car buying process as quick and hassle free as possible. If you would like Competitive financing options and you are in the market to purchase a new Nissan or used car, truck or SUV we will provide assistance to help you find financing options that fits your needs! Whether or not you have bad credit, no credit, or are a first time car buyer we are here for you! www.grubbsnissan.com. You are the reason we are here and have been for 62 years! We have a HUGE selection of inventory and Customer Service is top priority.... Bad credit or bad luck we are here to help. We speak your language Spanish, Vietnamese, Arabic, Bangladesh, Urdu including Chinese! Easy to access right off 183 and 121 minutes away from anywhere in DFW! Call or come by and find out why we are the fastest growing Nissan store in the Metroplex today!Brilliant Silver Metallic 2019 Nissan Versa 1.6 SV FWD CVT 1.6L 4-Cylinder 31/39 City/Highway MPGWe will give you a Service Report of what we did to ANY used vehicle for your peace of mind! Grubbs Nissan in Bedford Texas serving Dallas, Arlington, Fort Worth, Grapevine and Colleyville TX. Since opening our doors, Grubbs Pre-Owned offers a wide selection of New, Used and Certified vehicles, and hope to make the car buying process as quick and hassle free as possible. If you would like Competitive financing options and you are in the market to purchase a new Nissan or used car, truck or SUV we will provide assistance to help you find financing options that fits your needs! Whether or not you have bad credit, no credit, or are a first time car buyer we are here for you! www.grubbsnissan.com. You are the reason we are here and have been for 62 years! We have a HUGE selection of inventory and Customer Service is top priority.... Bad credit or bad luck we are here to help. We speak your language Spanish, Vietnamese, Arabic, Bangladesh, Urdu including Chinese! Easy to access right off 183 and 121 minutes away from anywhere in DFW! Call or come by and find out why we are the fastest growing Nissan store in the Metroplex today!Cayenne Red Metallic 2019 Nissan Versa 1.6 SV FWD CVT 1.6L 4-Cylinder 31/39 City/Highway MPGWe will give you a Service Report of what we did to ANY used vehicle for your peace of mind! Grubbs Nissan in Bedford Texas serving Dallas, Arlington, Fort Worth, Grapevine and Colleyville TX. Since opening our doors, Grubbs Pre-Owned offers a wide selection of New, Used and Certified vehicles, and hope to make the car buying process as quick and hassle free as possible. If you would like Competitive financing options and you are in the market to purchase a new Nissan or used car, truck or SUV we will provide assistance to help you find financing options that fits your needs! Whether or not you have bad credit, no credit, or are a first time car buyer we are here for you! www.grubbsnissan.com. Grubbs Family of Dealerships is your trusted destination for new cars for sale whether you're in Dallas or Hanover, MA. From luxury cars like the INFINITI QX80 to family-friendly SUVs like the Nissan Rogue, you'll find a top selection of vehicles at a Grubbs dealership near you. Our Texas and Massachusetts dealerships offer new cars, trucks, and SUVs for purchase, so browse our inventory above to start your search. Grubbs' new, used and certified pre-owned vehicles are impeccable quality. We have a knowledgeable finance team to work with as you shop for your new or used car, and a low-pressure, transparent sales process to make your time with us enjoyable so that you trust us with your future automotive needs. 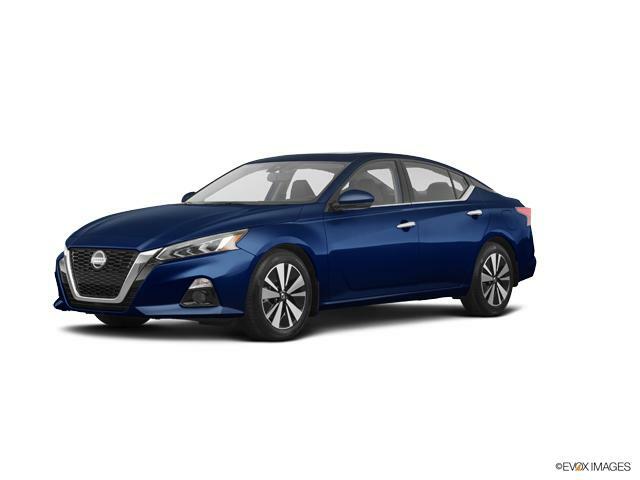 Find a new 2019 Nissan vehicle for sale at Grubbs Family of Dealerships, and schedule your test drive in today!